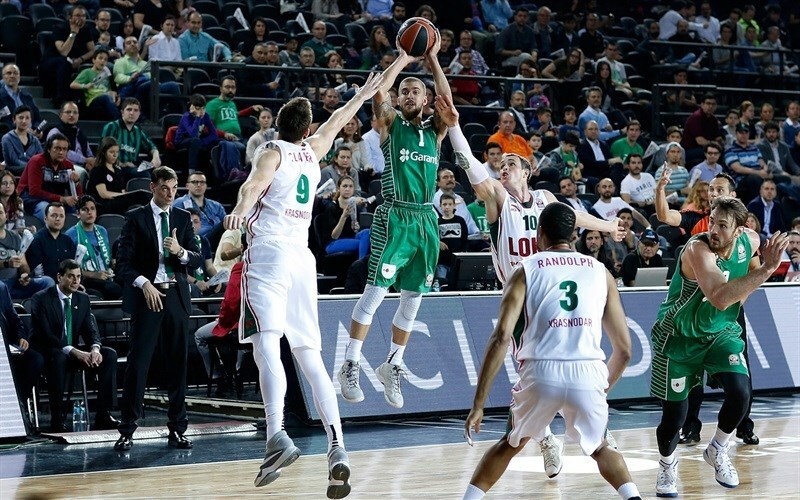 Darussafaka Dogus Istanbul finished its maiden Turkish Airlines Euroleague season with a bang by defeating playoff-bound Lokomotiv Kuban Krasnodar 87-86 on Friday night at Volkswagen Arena. After trailing for three quarters, the hosts pulled ahead early in the fourth and got key baskets from Frukan Aldemir, Scottie Wilbekin and Luke Harangody to wrap up the victory. 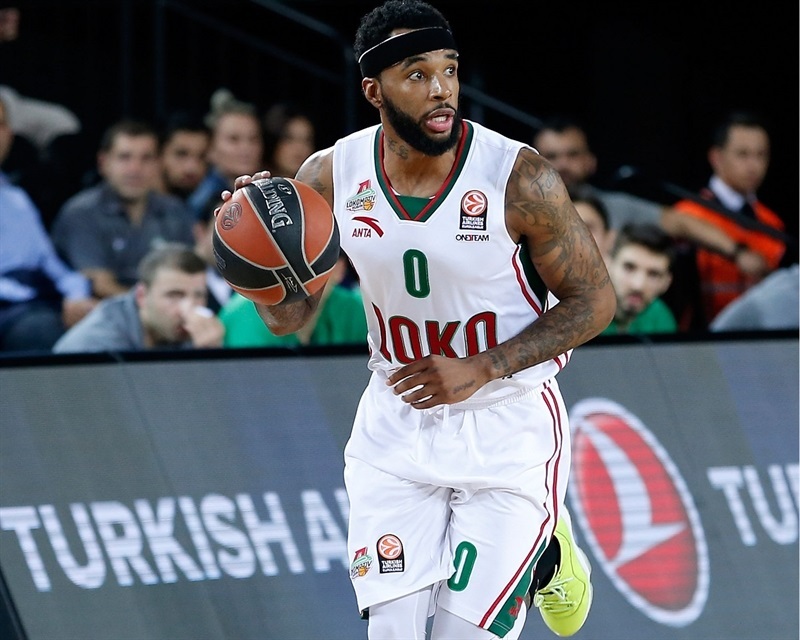 Darussafaka improved to 5-9 and finished the Top 16 in sixth place in Group E. Lokomotiv fell to 9-5, but placed second and will face FC Barcelona Lassa in the best-of-five playoffs. Harangody made 4 of 5 three-pointers to score 15 points and grabbed 7 rebounds for the winners. Reggie Redding added 12 points and Wilbekin tallied 11 points and 6 assists. 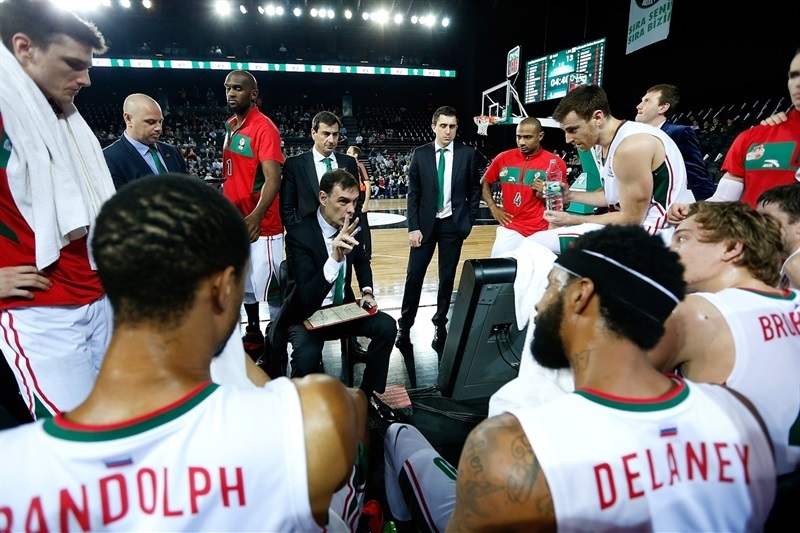 Victor Claver and Chris Singleton led Lokomotiv with 12 points each. 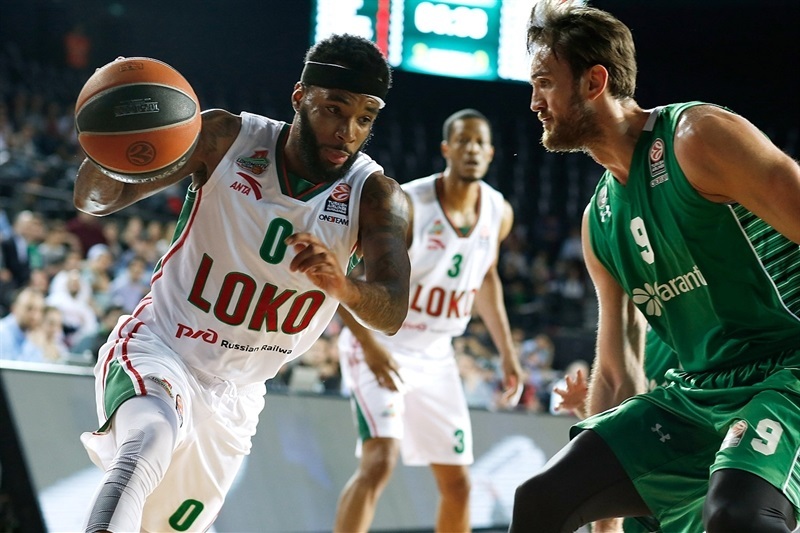 Malcolm Delaney and Andrey Zubkov added 11 apiece and Dontaye Draper scored 10. The visitors started well as Ryan Broekhoff came from the weak side to block Semih Erden and Delaney backed down Wilbekin for a jumper. 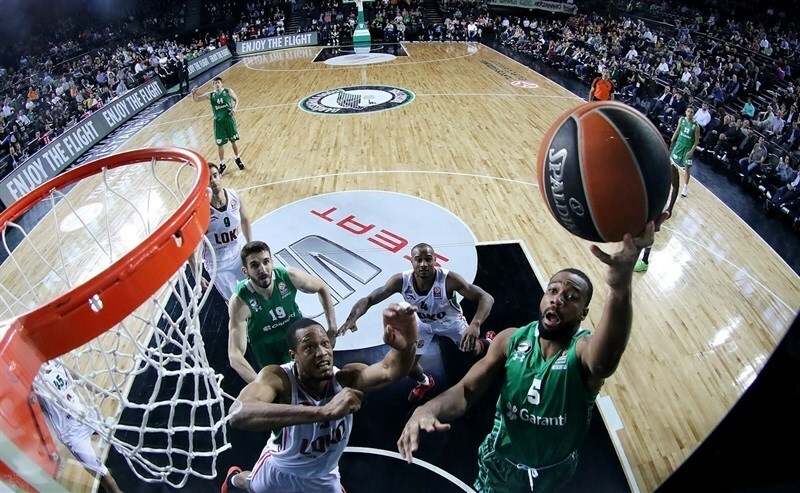 Redding’s jumper in the lane got Darussafaka on the scoreboard. Evgeny Voronov hit a long jumper and then stole the ball and left it for Claver and a layup. Delaney’s dish set up Claver to make it 2-8. 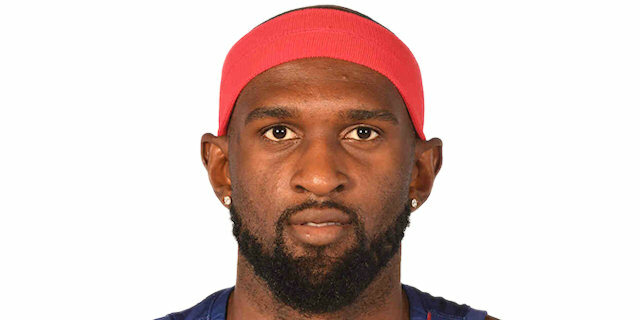 Jamon Gordon scored inside for the hosts, but Voronov dropped in a fadeaway jumper. Broekhoff drained a triple as the Lokomotiv lead grew. The hosts held on as Erden rejected Delaney and Harangody nailed a three-pointer to make it 7-13 midway through the quarter. Redding further narrowed the gap with a layup off an inbounds play. Broekhoff sank free throws and Anthony Randolph added a jumper to push the lead to 8. 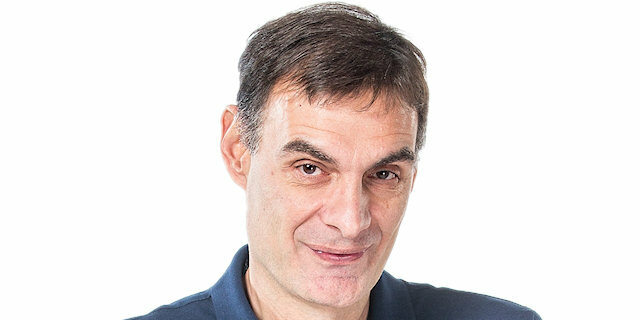 After Harangody split free throws, Milko Bjelica scored in the low post and Marcus Slaughter’s steal led to a Wilbekin triple that brought the hosts within 15-17. Delaney rescued the visitors with free throws, but Emir Preldzic banked in a shot at the other end. After Matt Janning’s jumper, Randolph stole a pass at one end and finished at the other. However Manu Markoishvili’s triple kept the hosts within 20-23 after 10 minutes. Singleton made an instant impact with a rebound, jumper and foul, but Bjelica’s three-pointer kept things close. Janning responded with a three, but Preldzic hit a baseline jumper. Then Bjelica scored on the break to make it 27-29. After Sergey Bykov scored on a broken play, Slaughter split free throws. 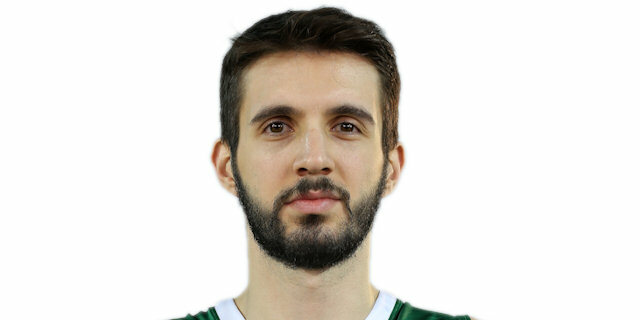 Ender Arslan blew past the Lokomotiv defense for a layup-plus-foul, which tied the game at 31-31. Free throws by Dontaye Draper put the visitors back in front and Andrey Zubkov’s fast break slam doubled the advantage. After Draper’s three-pointer, the hosts called timeout. 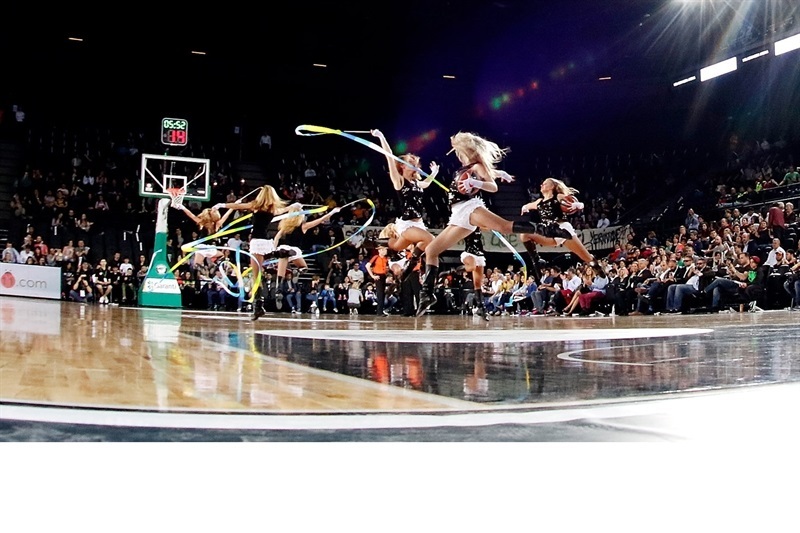 Redding’s drive kept Darussafaka in the game, however Zubkov bettered him with a three from the corner to make it 33-41. Redding added free throws only for Delaney to drill a three-pointer in transition. 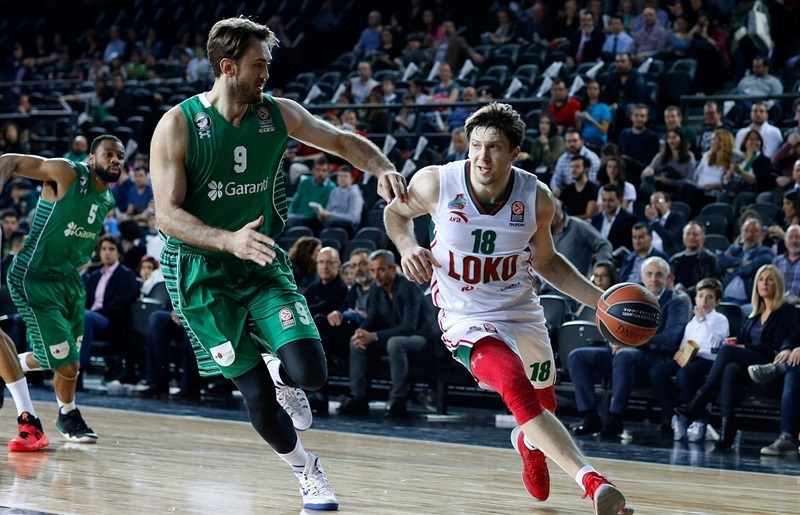 Redding remained his team’s go-to guy with a layup-plus-foul, but Lokomotiv refused to yield; Zubkov beat the shot clock for a three and a 38-37 halftime lead. Erden opened the second half with free throws before his counterpart, Randolph, scored inside. After Preldzic split free throws, Harangody scored on the glass and Erden added 2 more free throws to bring his team within 4. Harangody extended the run to 8-0 with a triple before Claver scored his first basket since the opening minutes. After Wilbekin missed twice from the line, Broekhoff drained a three. Erden muscled his way to a put-back, but Randolph responded with a triple. Eden’s lefty hook made it 52-57 midway through the quarter. 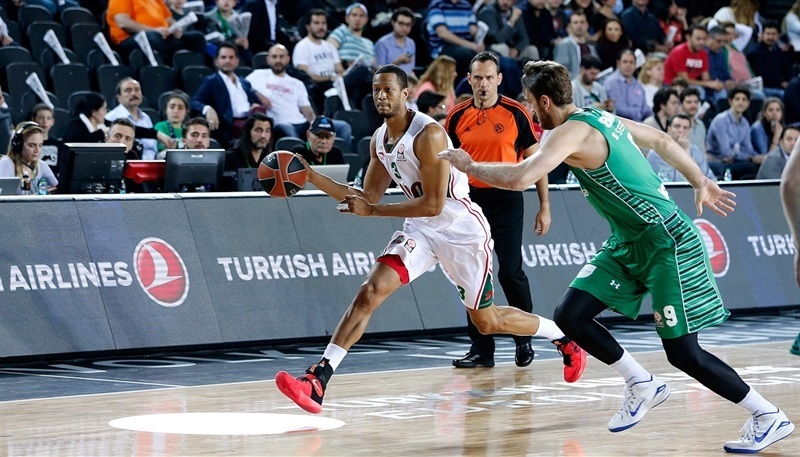 Erden found Gordon for a layup and Metin Turen sank free throws to bring the hosts back within 1. Claver responded with a triple from the corner to keep his team ahead, but Wilbekin matched him. Delaney finished a four-chance Lokomotiv attack with free throws and then Draper put the visitors up 5. Furkan Aldemir’s tip-in kept the hosts close. After 2 more free throws by Delaney, Harangody’s triple made it 64-66. 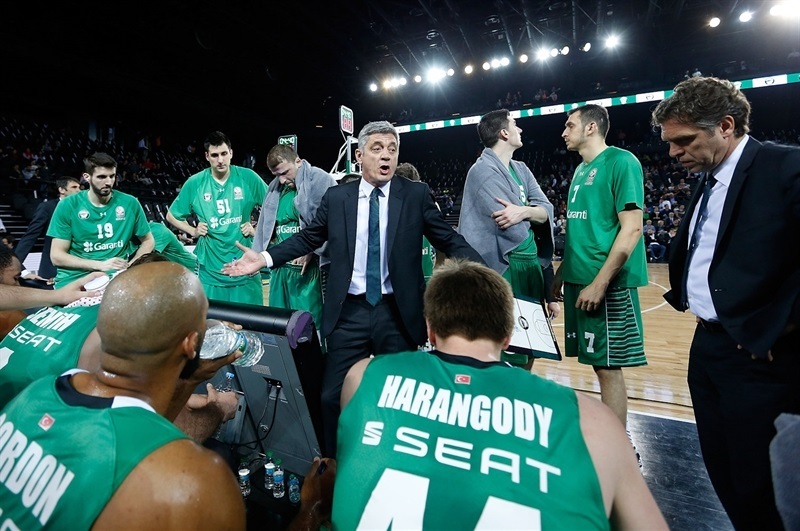 Aldemir’s put-back tied it and Markoishvili’s jumper gave Darussafaka its first lead, 68-66. 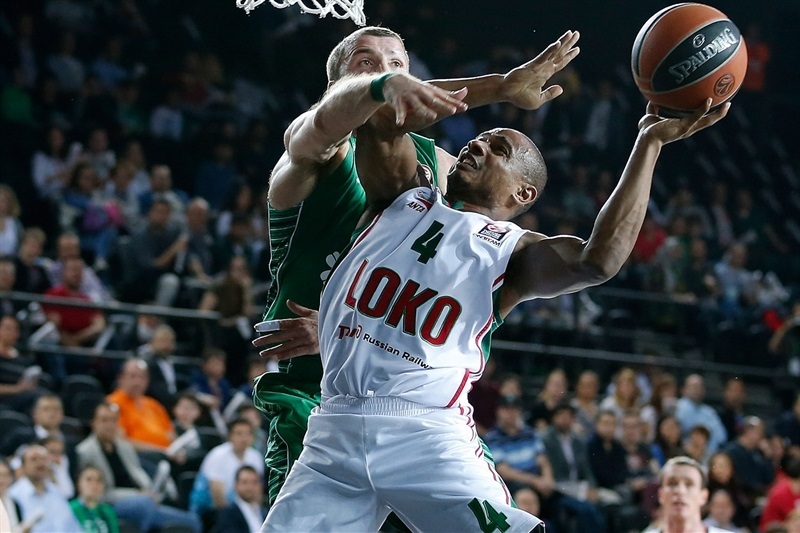 Zubkov responded with a three-pointer that restored Lokomotiv control. Singleton added free throws, but it was even at 71-71 after Harangody’s fourth three-pointer. Singleton got to the line for another 2 points, but a Markoishvili three-pointer made it 74-73. Aldemir passed out of a double team to Arslan for a three. 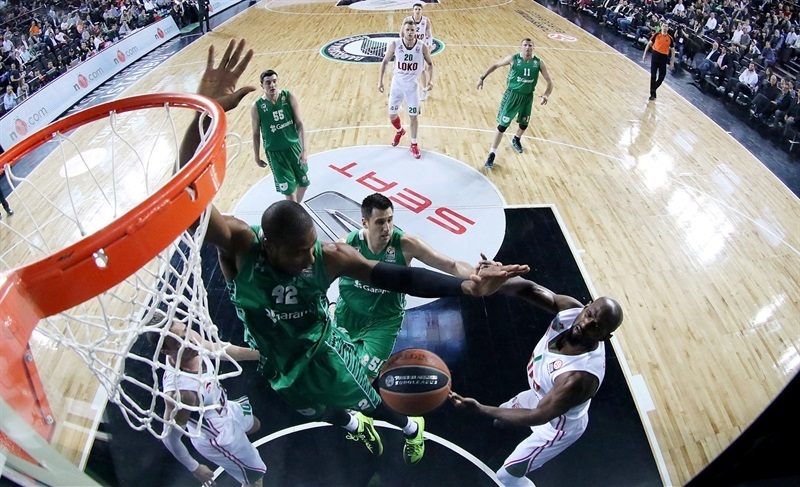 Draper came to Lokomotiv’s rescue with his second three-pointer. Arslan ran the pick-and-roll with Aldemir, who sent down a two-handed jam. Singleton missed a dunk, but free throws by Voronov kept it close, 79-78, with four minutes remaining. After missed shots at both ends, Wilbekin hit a crucial three. Singleton’s put back halved the difference. Wilbekin made a jumper, but missed the free throw that came with it. Claver came up with a big three to make it 84-83, but with a minute remaining, Arslan found Aldemir for a dunk. Redding split free throws to make it a two-possession game and Singleton’s three proved to be too late. 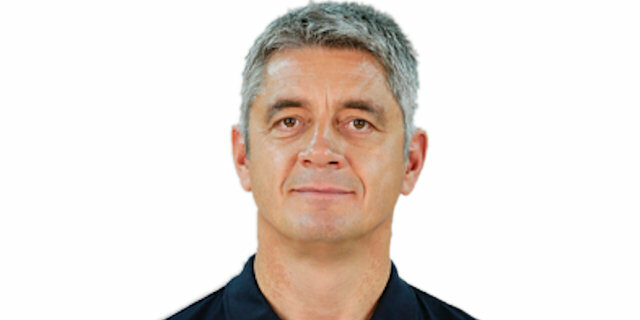 "This is a big win for us in a disappointing round of Euroleague. We’re upset with the way we finished in the group, but it’s nice to go out with a win. Lately we’ve been playing a lot better with a lot more energy on both sides."